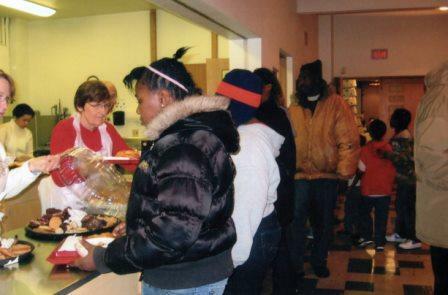 Located in Milwaukee at 38th and Lloyd, Bethany Lutheran Church describes its mission as “a beacon of light reaching out into the neighborhood with the Good News of Jesus Christ.” Some of their mission work includes distributing clothing and blankets to the homeless, making and serving soup to the hungry, and maintaining a food pantry. Our gift was provided to assist with the purchase of a van. The acquisition of a van was essential to their ongoing ministry. So many people are without transportation and without a van, there is no way some of the people are able to attend worship and Bible study. A vehicle is also needed to pickup food for their soup kitchen. Bethany is unique as it does not have a congregation to support it, but the South Wisconsin District supports this mission work which is led by Pastor Ikanih and the handful of members who work with many of the people in the neighborhood. In addition to the grant from the Endowment Fund, members of Blessed Savior also support Bethany church by volunteering their time in the Bethany soup kitchen.